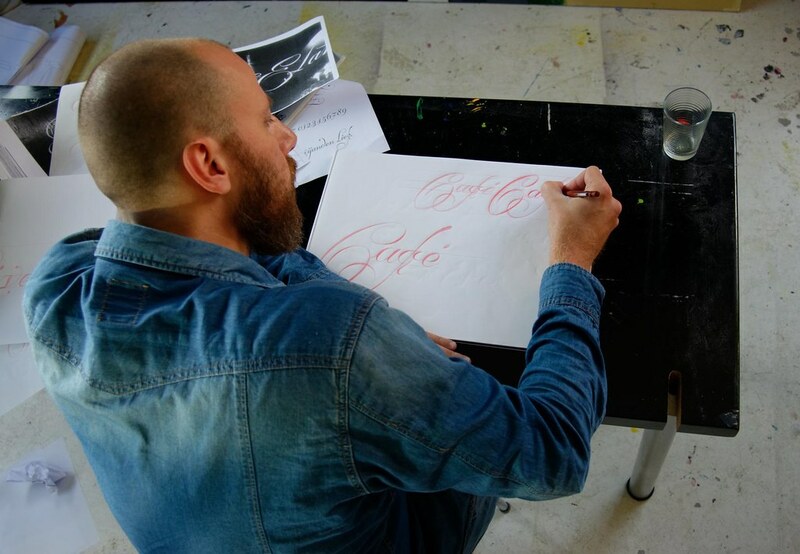 Ramiro Espinoza has recently delivered a workshop on sketching ‪Krulletters‬ at Amsterdam Signpainters’s headquarter. Drawing letters is hard work but at the end of the day, all sketches looked much more refined. 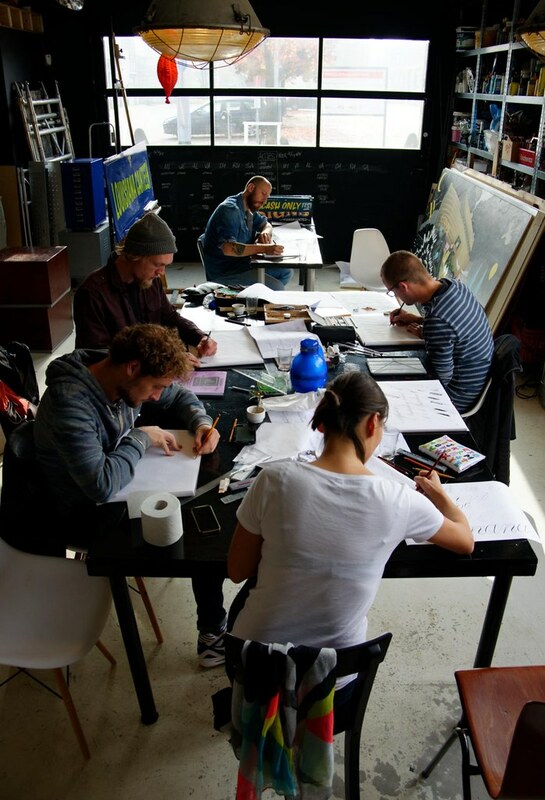 We hope the AS team enjoyed it and that soon they will be able to draw and paint krulletters as good as the ones produced by Visser and Beukeboom. Here you can see some images of the workshop.